It’s that time of the year, the “Top 10” list of the best pictures last year had to offer. 2013 was one of the strongest years in a very long time. If you read my “Top 10” list of 2012, you may recall I wished it could be a “Top 20” list instead. A year later, I’m glad I didn’t “break the rules” and create it; if that had been the case, I would’ve had to make a “Top 30” this year. Anyway, as I mentioned a year ago, my list consists of movies that I consider to be technically and artistically beautiful. These ten pictures have impacted me and left a mark in me. They offered different points of view, and even though some were challenging to watch and analyze, they were of value and importance to me as a person and filmmaker. 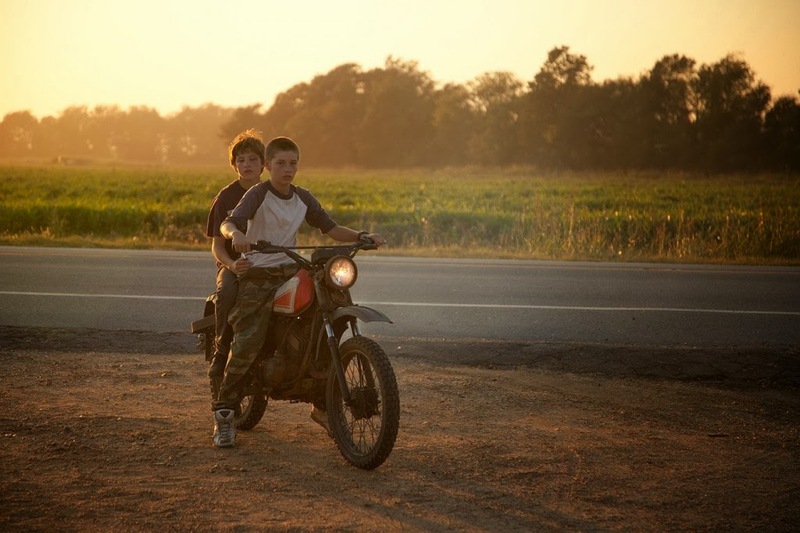 Mud is a fine example of a strong independent film with an amazing story about loss and recovery. I’m glad I had the opportunity to watch it at the Florida Film Festival. There is something about the characters, especially Ellis, the leading young boy played by Tye Sheridan (The Tree of Life), that make them relatable in various ways. (I’m glad he was nominated for a “Best Young Actor” award at the Broadcast Film Critics Association Awards; he definitely steals the movie). This is an underrated movie, at least among my circle of friends and acquaintances. I wish it had gotten a bit more attention. Prisoners is a movie with talent galore. It’s sad it didn’t get any recognition in the awards circuit, except for Roger Deakins’s cinematography in the Broadcast Film Critics Association Awards and the Academy Awards. 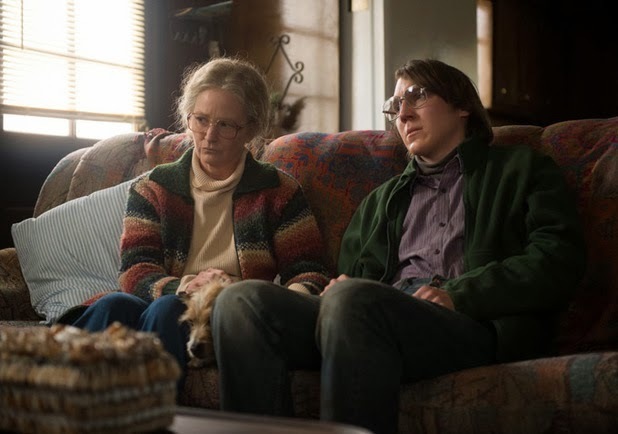 Hugh Jackman and Paul Dano steal the show with intense and unforgettable performances, both of these incredibly talented actors, along with the cast, got snubbed from nominations. Kill Your Darlings is another underrated movie. No one I’ve talked to about it has seen it. This provocative film, which played at Sundance, presents to us a more mature Daniel Radcliffe. “Harry Potter” portrays a young Allen Ginsberg, the American poet who was part of the beginnings of a movement known as the Beat Generation. 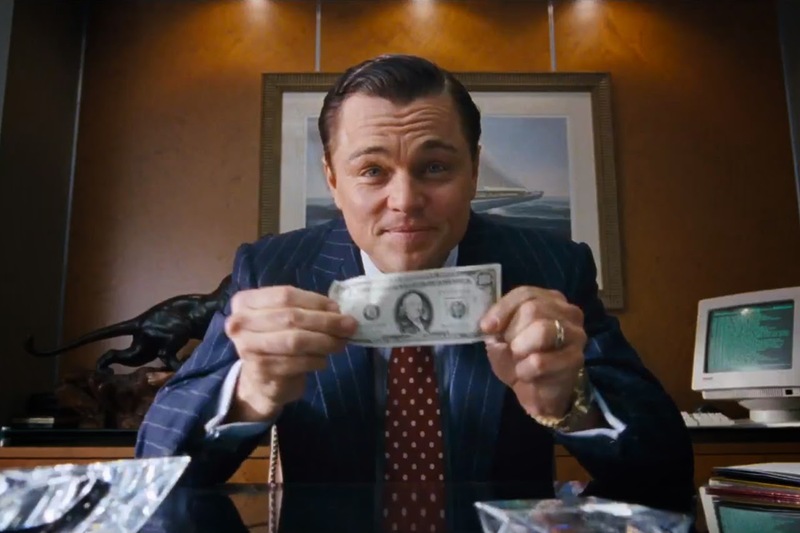 If I had to describe The Wolf of Wall Street in one word, it would be “grand.” The movie is out of control and all over the place, which is why I love it. The art direction is the element that appealed to me the most; the clothes, the cars, the houses. Unfortunately for Leo, this year was very competitive for male actors. He delivers the best performance of his career. As the movie develops, you root for him, he makes you laugh, you despise him, you feel sorry for him, and you root for him again. Once more, I’m going to go ahead and use one word to describe the next film, and that is “fearless.” Blue is the Warmest Color is a three hour-long film about how two French girls meet, start a relationship, fall in love, and everything that comes after. I wouldn’t be surprised if twenty-year-old Adèle Exarchopoulos didn’t undergo a nervous breakdown during and after shooting this film. I’m glad she received the “Best Young Actor” at the Broadcast Film Critics Association Awards. Winner of a Palm D’ Or at the Cannes Film Festival, the controversial, NC-17 Rated film, is probably the most honest, brutal, and real story I have seen about a relationship. Blue Jasmine has to be one of the funniest movies this year. It is heartbreaking to go through Jasmine’s journey as she falls and jeopardizes the relationships she has with the people closest to her, who also happen to be the most distant. This is one of those movies with strong characters and good dialogue. Cate Blanchett and Sally Hawkins nail their roles. The story of Philomena, which is based on a true story, is incredible. 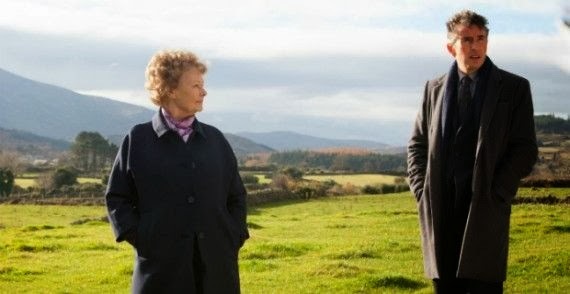 Despite some of the tragedies our leading character goes through, it is a feel-good movie with charming moments, all thanks to the chemistry between 79 year-old Judi Dench and 48 year-old Steve Coogan. Another great Weinstein Company art piece. Dallas Buyers Club is an informative and eye-opening film about a subject that unfortunately is still taboo in a way. I have many friends who were literally scared to have contact with another human being after watching it. It shouldn’t be that way, but at least I feel that the film left an impact and created awareness in people. This is a film about survival, forgiveness, and starting again. It’s nice that after 15 years, the script finally turned into an outstanding piece of work. Gravity is a film that has no categorization. I remember being on the edge of my seat during the entire hour and a half; it felt like 45 minutes. I describe Cuarón’s best film to date as a roller coaster of emotions. You laugh, you sweat, and you cry. Many people bash the story, saying it’s too plain, but I think it’s perfect. Its simplicity makes it grand, going deeper than what you see on screen. There are a lot of metaphors and foreshadowing. If you think about it, this film is pro life, it roots for women, and it is a reflection on the fragility of life, to mention a few. I remember hearing and reading about this film for years, so it was very nice to finally experience it. 12 Years a Slave is a film that needs to be shown in US History classes all around the nation. It is sad I didn’t know about the story of Solomon until I saw the movie, like many other people. It is a shame (and a blessing) that this is one of the very few films that truly show what slavery was about. I’m going to have to use the word “fearless” again to describe this film and its director, who happens to be a British making a film about slavery in the United States. McQueen and Fassbender collaborate for the third time and need to continue doing so. This film scarred me but also made me appreciate life a little bit more. Every element works, and even though it was tough for me to decide between this and Gravity, this just had to be the best and my favorite film of 2013. These are best movies of matthew mcconaughey. I have seen Mud, The wolf of Wall Street and Kill your Darling. These all are interesting movies and really liked his acting. Indeed. I have to see "Interstellar."